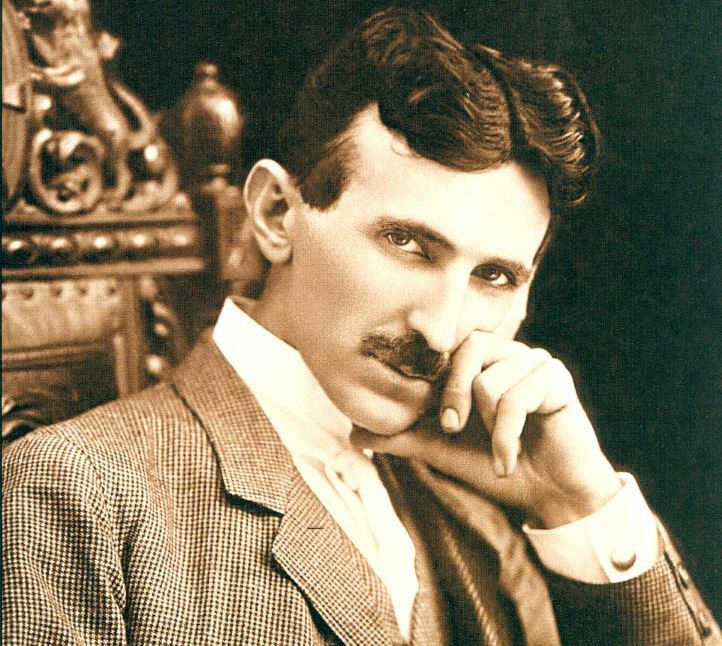 How Nikola Tesla Threw Away A Billion Dollar Fortune Then Died Penniless….. In 1884, a 28 year old Serbian-born inventor named Nikola Tesla immigrated to America from Paris. As he passed through Ellis Island, Tesla’s entire worldly possessions consisted of a book of poetry, a letter of recommendation and exactly four cents in American currency. That letter of recommendation was addressed to one of the most famous businessmen in America at the time, Thomas Edison. Edison and Tesla collaborated for a short time, but their partnership eventually soured. Over the next decade, their heated rivalry set off an electrical revolution that drastically changed the lives of every human being on earth. Tesla’s electrical innovations blew Edison out of the water and are still the standard today, more than 100 years later. Tesla’s 300 different patents brought him fame and incredible fortune in his lifetime. 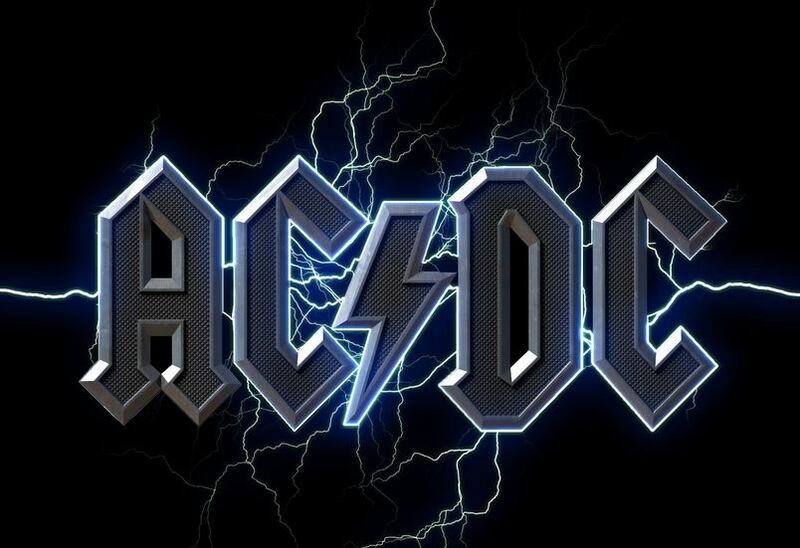 At one point, the royalty payments on his Alternating Current patent were worth the inflation adjusted equivalent to hundreds of millions dollars. By most estimates, Tesla’s royalties were so valuable that he easily should have become the world’s first billionaire and the richest person on the planet, by a long shot. But none of that happened. Unfortunately, not only did Tesla burn through his entire personal fortune on failed projects, he also threw away away his most lucrative patent and subsequently his chance to become a billionaire. When Tesla died in 1943, he was bankrupt, alone and teetering on the verge of insanity. How on earth did that happen? When Tesla came to America, he immediately landed a job at Edison General Electric. The job came with a weekly salary of $18 which is equal to $440 in 2013 dollars. Edison also offered a $50,000 bonus ($1 million in modern dollars) if he could redesign and significantly improve the current Direct Current electrical motor system. Tesla triumphantly accomplished that feat within just two months but Edison refused to pay him the $50,000, claiming the bonus was just a joke. Edison explained “Tesla, you don’t understand our American humor” and instead offered him a $10 a week raise. Tesla refused the raise and quit that very same day. Tesla’s next endeavor was the Tesla Electric Light & Manufacturing company, but that soon failed and he found himself forced to dig ditches in the street to earn money. Prior to 1880, no home on earth had electricity. In 1879, Thomas Edison first demonstrated his incandescent light in Menlo Park, New Jersey, and soon after founded his company Edison General Electric. Edison was a pioneer of Direct Current (DC) electricity. Direct Current is a simple system but also comes with some extreme limitations. Since nothing else existed at the time, DC became the standard system around the world. In the United States, Edison Electric made a fortune building hundreds of DC power sources all over the country. As the country became addicted to electricity, Edison personally earned a fortune off his Direct Current patent royalties. In April 1887, the Tesla Electric Company was founded. Within a few months, Tesla built and patented what would become his most significant invention of all, the Brushless Alternating Current Motor. This newAlternating Current (AC) motor quickly proved to be vastly superior to the standard DC system. The three phase AC induction motor was by far the most efficient way to convert electricity to mechanical power. Not only could AC produce significantly higher voltages, it could transmit that electrical power exponentially longer distances, at a cost that was 1000 times cheaper than DC. To illustrate this point, we can use a simple modern example: Today every single household in America is wired with AC outlets but DC power is still used for things like batteries. Imagine how many batteries you would need to power a refrigerator and how quickly those batteries would run out of juice. Not only are batteries expensive, it would be a huge pain to constantly replace them to keep your refrigerator running. Alternatively, when you plug a refrigerator into your standard AC wall outlet, it will be powered continuously for relatively small amount money and zero hassle. Another major drawback was that each DC power source could only provide electricity for 10-15 homes at any given time, and each home needed to be within 2 miles of the power source. On the other hand, a single Tesla AC power source could transport electricity hundreds of miles and provide electricity to tens of thousands of homes simultaneously. After word spread of AC’s superior capabilities, Tesla was approached by the Westinghouse Electric & Manufacturing Company and offered a generous deal to license his technology. In 1888 Tesla met with company founder/president George Westinghouse and agreed to license his patents for the sum of $60,000, plus 150 shares of stock and a $2.50 royalty per horsepower generated by his AC motor. Tesla was also given a $2000 a month salary to work for Westinghouse, the equivalent of $48,000 per month today. Furthermore, the $60,000 lump sum was worth roughly $1.4 million in today’s dollars. But Tesla’s real windfall didn’t come from stock, salary or bonuses, it came from those royalties. As AC power slowly became more widely adopted across the country, Westinghouse happily paid Tesla hundreds of thousands of dollars in royalties each year. By 1890, just one year before his 35th birthday, Tesla had become a full fledged millionaire. To give some perspective, $1 million in 1890 would be worth a little more than $25 million today. Not surprisingly, Edison was not happy to see his Direct Current cash cow patent threatened into obscurity. He did not go down without a fight. Edison and his company quickly launched a PR campaign that spread lies about the lethal dangers of AC power. Their smear campaign often involved Edison conducting public electrocutions of stray cats and dogs in order to convince the American people that AC power was totally unsafe. He even publicly electrocuted an elephant in front of a large crowd on New York’s Coney Island. Ironically, these morbid public displays actually led Edison to invent and patent the Electric Chair. Edison’s electric chair was christened in 1890 on a condemned man named William Kemmler at Auburn Prison in Auburn, NY. 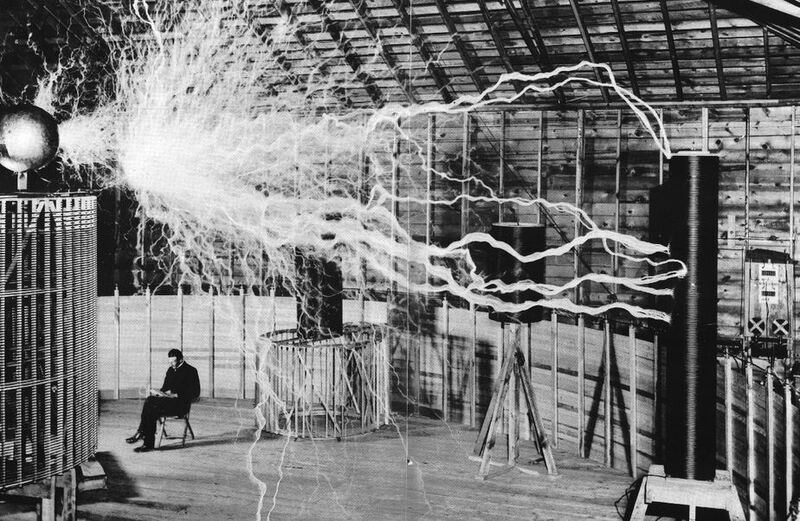 In response to these false accusations and lies, Tesla went on a PR tour of his own where he would amaze crowds by passing one million volts of AC electricity through his body to prove that the only true downside of Alternating Current was a bad hair day. Unfortunately, the War of Currents took a big financial toll on Westinghouse. 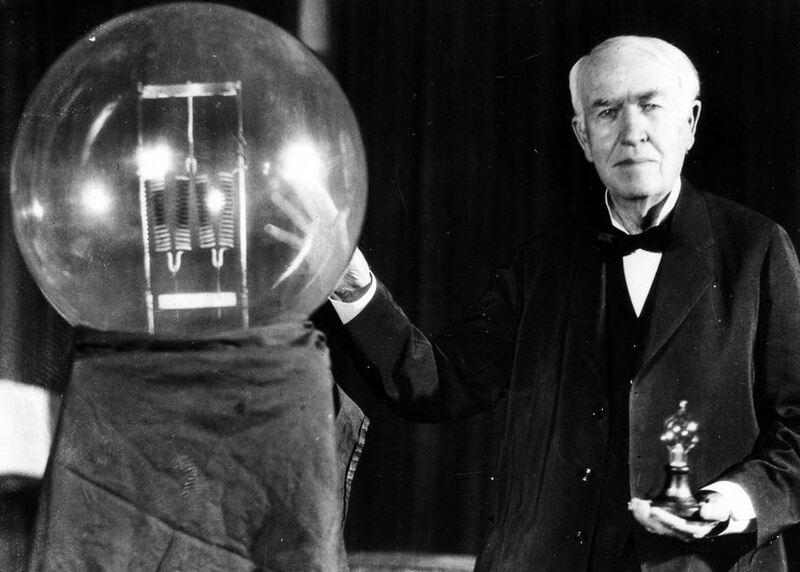 Edison could weather the storm because he was backed by the millionaire financier J.P. Morgan. By 1907, after nearly 20 years of fighting with Edison, Westinghouse was more than $10 million in debt and teetering on the verge of bankruptcy. Out of desperation, George Westinghouse approached Tesla with a proposition. Westinghouse begged Tesla to lower or temporarily rescind his royalty in order to allow the company to survive. Westinghouse further explained that if the company went bankrupt, Tesla would be faced with the nearly impossible task of retrieving his royalties from a stingy bank creditor. To Westinghouse’s amazement, Tesla tore up the original contract on the spot. Tesla was grateful to Westinghouse for believing in him when no one else would. By tearing up the contract and relinquishing his royalties, Tesla single-handedly saved the Westinghouse Electric company. In return, Westinghouse paid Tesla a $216,000 lump sum for the right to use his AC patents in perpetuity (that’s worth roughly $5.4 million today). In retrospect, Tesla may have been a brilliant inventor but he was a terrible capitalist. In 1907, when he tore up the contract, bankers estimated the value of his patents to be $12 million. Shockingly, $12 million in 1907 is equal to more than $300 million in today’s inflation adjusted dollars. Obviously, the smarter move would have been for Tesla to offer a five year reprieve from the royalty payment to allow Westinghouse to get back on its feet and destroy Edison. Over the next decade, Alternating Current wiped out Direct Current and became the standard electrical system across the world. Had Tesla held onto his royalty over this time, he easily would have become one of the wealthiest people on the planet. Even by conservative estimates, he should have become the richest person on the planet and the first person with a $1 billion net worth. Had he not ripped up that contract, today those same AC motor royalties would generate billions of dollars every year for Tesla’s relatives. Unfortunately, Tesla’s luck and sanity deteriorated over the next 30 years. He was involved in a handful of very expensive and very public failed electrical projects between 1920 and 1935. When Tesla died in 1943 at the age of 87, he was bankrupt and living alone in a New York hotel surrounded by pigeons. His hotel room and meals were paid for by George Westinghouse, who remained one of Tesla’s loyal friends to the end. In recent years Tesla’s legacy lives on through some of today’s brightest most famous innovators. Google founders Larry Page and Sergey Brin are said to be huge admirers of Tesla and his achievements. Page was inspired to become an engineer after reading a Tesla biography at the age of 12. 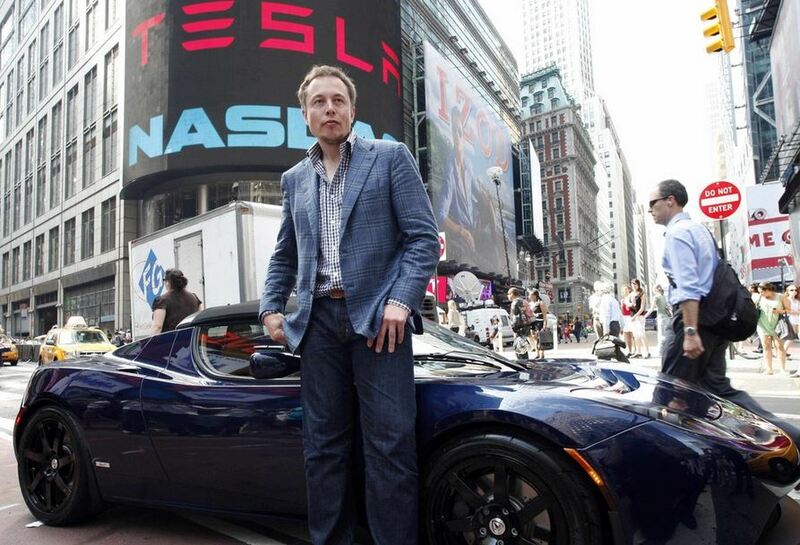 When paypal billionaire Elon Musk founded his new electric car company, he chose the name “Tesla Motors”. The Serbian city of Belgrade is home to the Nikola Tesla Airport. Tesla also appears on the Serbian dollar bill. Karma would eventually bite back at Thomas Edison. His company Edison General Electric wracked up its own mountain of debt during the War of Currents. J.P. Morgan used the debt to gain full control of the company away from Edison. Morgan then merged Edison General Electric with the Thomson-Houston Electric Company of Massachusetts. Edison’s name and responsibilities were removed from the newly formed company “General Electric”. As you may know, General Electric is still a thriving company today that owns thousands of businesses and has a market cap of $244 billion. Similarly, Westinghouse would go on to thrive for for decades and even purchased television network CBS in 1995. Westinghouse and CBS were purchased by Viacom in 1999.